Colombian President Juan Manuel Santos and the Revolutionary Armed Forces of Colombia (FARC) will sign a final peace treaty on Monday in Cartegena. This historic agreement will formally end 52 years of conflict, which left 220,000 dead and six million internally displaced. US Secretary of State John Kerry is expected to be in attendance. 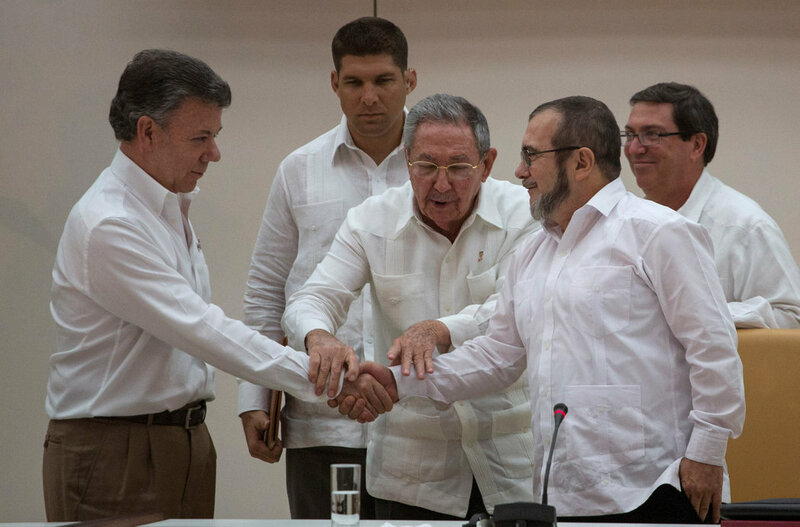 Under the deal, the militant FARC will transition to a legal political party with a guaranteed minimum of five seats in each house of Congress in the 2018 and 2022 elections. The peace deal will only come into force if citizens vote to accept it during the plebiscite scheduled for October 2. It appears likely to pass, with recent polling suggesting some 70 per cent of Colombians will vote to approve it. Following the agreement’s formal implementation, FARC will have 180 days to demobilise by handing over weapons to a designated UN mission. As a political organisation, FARC is yet to outline specific policy stances, but are expected to push for decentralising the Colombian government to reduce corruption and allow for proper distribution of royalties from oil and mining projects. The first of three televised general debates between presidential candidates Hillary Clinton and Donald Trump will be held on Monday at Hofstra University in Hempstead, New York. An expected 100 million viewers will tune in for the 90-minute debate. Monday’s debate will be divided into six time segments of 15 minutes each, covering America’s direction, how to achieve prosperity, and national security. The moderator, NBC’s Lester Holt, will prompt the candidates with a question to which they will each be given two minutes to respond. This will be followed by free-flowing debate. 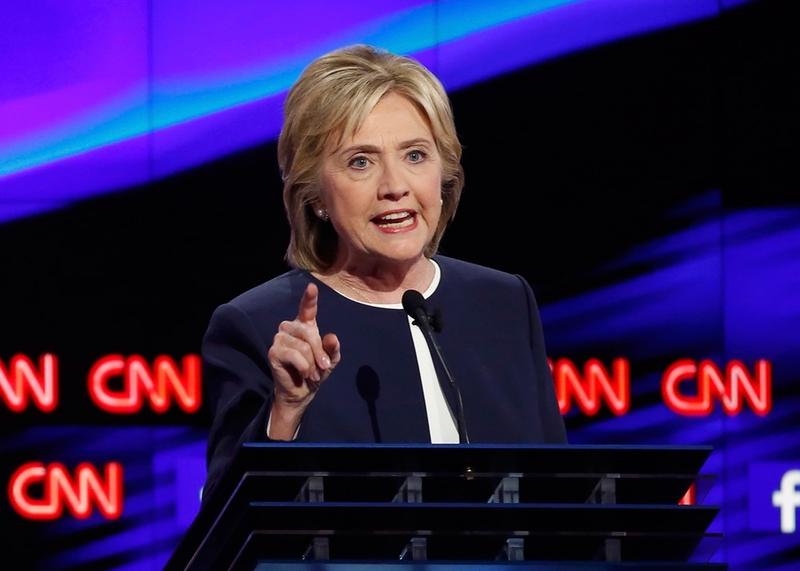 Debate performance can be crucial to swinging undecided voters. Over the course of three debates in 2000, Al Gore dropped from five points ahead to seven behind George W Bush. More so than the actual content of debate, voters will be scrutinising body language for silent messages – Al Gore’s approval ratings dropped after voters viewed his frequent sighs and ‘invasion’ of Bush’s personal space as condescending and rude. Viewers can expect Trump to raise the issue of Clinton’s use of a private email system as Secretary of State. On Monday, Italian Prime Minister Matteo Renzi will head a cabinet meeting to decide on a date for an upcoming constitutional referendum. Mr Renzi has previously hinted the vote will either take place on November 27 or December 4. While the referendum itself is targeted at reforming Italy’s political system, it is widely seen as a vote on the Renzi’s tenure. This is the result of the prime minister promising to resign if the referendum does not pass, a pledge he has since tried to walk away from. The vote could have wide-reaching ramifications, both for Italy and the EU. In recent months, Renzi’s Democratic Party has come under pressure from the populist Five Star Movement (M5S), headed by former comedian Beppe Grillo. M5S – which has run on an anti-establishment, Eurosceptic platform – successfully challenged the Democratic Party in June’s mayoral elections in Turin and Rome. If the upcoming referendum fails to garner enough support, and Prime Minister Renzi’s position becomes untenable, M5S look likely to benefit. This will make Brussels’ task of unifying a post-Brexit EU even harder. The latest polling suggests large swathes of Italians remain undecided, making such data an unreliable indicator. In two different polls conducted last week, 35 and 24 per cent of those asked said they did not know how they would vote. 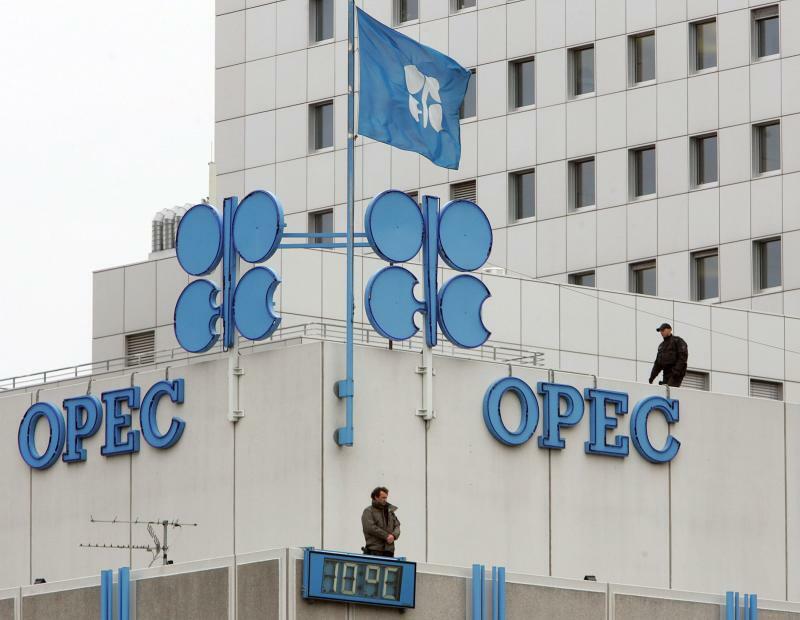 Energy ministers from OPEC member-states will meet on the sidelines of the International Energy Forum in Algiers on Wednesday to discuss the possibility of a deal to boost oil prices. Last week, Algeria’s energy minister, Mohammed Barkindo, suggested OPEC may hold an official extraordinary meeting ‘immediately’ after Algiers talks if a consensus was reached on Wednesday. Previously, Mr Barkindo – who is the cartel’s secretary-general – characterised Algiers as ‘not a decision-making meeting’, dampening hopes of a deal. Many large oil producers have been pushing for higher oil prices, which have hovered around the $45 a barrel mark for the past 12 months. Efforts to reach a supply-side deal in April were undermined by Iran’s refusal to cap its output, having just emerged from half a decade of international sanctions. However, Iran has now increased production to near pre-sanctions levels, and Iraq – which also previously resisted the April deal – has signalled its support. Despite this, reports indicate an initial Saudi offer made to Iran in recent days was rejected, highlighting the challenges faced by those meeting in Algiers. While a production freeze may not be announced this week, one is likely to be struck before the end of the year. 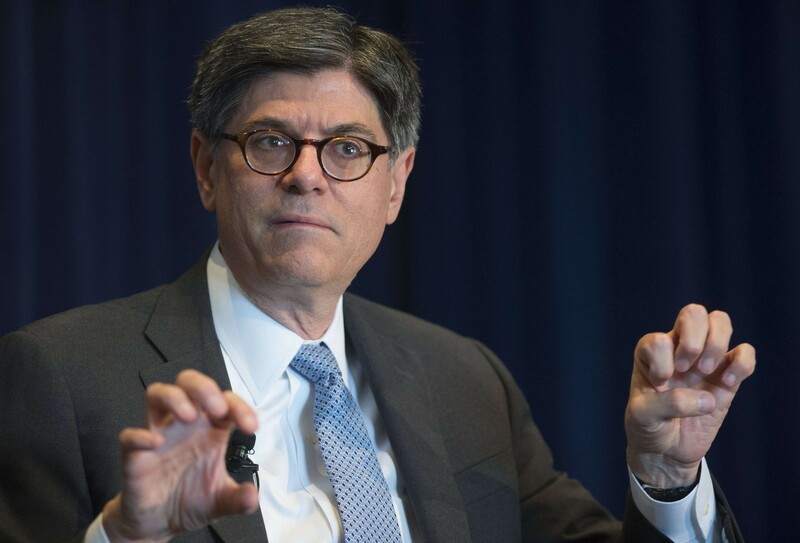 US Treasury Secretary Jacob Lew will visit the four largest Latin American economies from September 26 to 29. 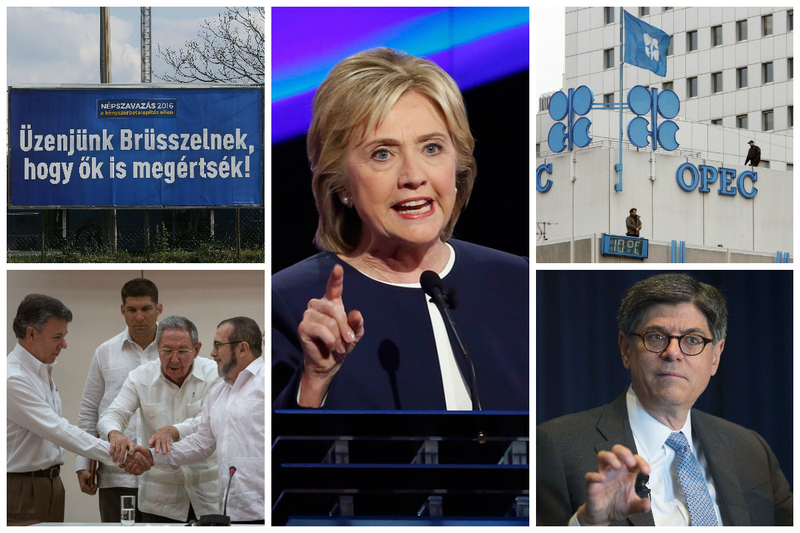 All four countries have recently shifted to more business-friendly economic policy in hopes of attracting investment from the United States and other foreign sources. As the first Treasury Secretary to visit Argentina since 2002, Lew is expected to praise and encourage centre-right President Mauricio Macri’s efforts to reintegrate Argentina into the global economy. This follows Washington’s commitment in January to scale back its opposition to development bank lending to Argentina. Discussions will focus on generating private sector confidence, normalising access to capital markets and collaborating on anti-corruption measures. Buenos Aires is also expected to appeal to Washington to help track down Argentinians living abroad with undeclared assets. Lew will also be the first official from President Obama’s cabinet to visit Brazil since the beginning of Michel Temer’s term. He is expected to call for stronger measures by the central bank to control inflation. Similar ‘disciplined policies’ will be mentioned in Colombia, which is currently struggling to rebound from low oil prices. Lew will meet with the new Mexican finance minister, Jose Antonio Meade, to discuss continued economic integration and schemes to counter illicit financial activities. On Sunday, Hungary will hold a referendum on whether to accept the EU’s proposed migrant policy, which would distribute some 160,000 refugees to countries around the Union. Hungary’s Prime Minister, Viktor Orban, and his right-wing Fidesz party have thrown their support behind the ‘no’ campaign, employing strong rhetoric and a flurry of advertising campaigns to galvanise public support. At the height of the so-called migrant crisis in 2015, Hungary found itself a major transit point along the Western Balkan route to northern Europe. In response, the Orban government ordered the construction of border fences along its southern border and hired more than 3,000 border police. Opinion polls suggest voters will resoundingly reject the EU policy on Sunday, with up to 78 per cent of those polled saying they would vote ‘no’.